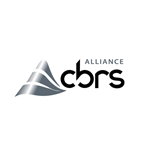 SUNNYVALE, Calif., Jan. 22, 2019 (GLOBE NEWSWIRE) -- Today, the CBRS Alliance, an industry organization focused on driving the development, commercialization, and adoption of OnGo™ shared spectrum solutions, announced the addition of wireless industry leaders to its membership and partner base, as well as a key milestone in the OnGo Certification Program. Now with more than 120 members, the Alliance is seeing a new set of organizations beginning to engage in the OnGo ecosystem. A host of wireless equipment manufacturers, wireless internet service providers (WISPs), managed service providers and organizations who seek to use OnGo solutions, like Texas A&M, have signed on to help guide OnGo technology’s further development as FCC-authorized commercial service nears. Additionally, Cisco has recently become the latest Sponsor Member of the Alliance after participating as a Full Member for a number of years. Cisco Wireless CTO Matthew MacPherson has joined the Alliance’s Board of Directors. Key industry organizations are also partnering with the Alliance to support joint efforts to advance market opportunities and technology standards for OnGo. The Wireless Internet Service Providers Association (WISPA) joined the CBRS Alliance this month to support business opportunities for fixed wireless providers. In addition, the Alliance for Telecommunication Industry Solutions (ATIS) is supporting network identity management initiatives to enable OnGo networks. Amid this growth in industry collaboration, the CBRS Alliance took a key step to simplify and scale the OnGo Certification Program: announcing the initial release of the OnGo Certification Test tool developed through a partnership with Radisys. Radisys developed an LTE-specific version of the OnGo Test Harness for testing Citizen Broadband Service Devices (CBSDs) initially developed by the Wireless Innovation Forum. The OnGo version of the test tool includes all current test cases with the ability to easily add additional test cases from OnGo Release 2, which is expected to be available in March. The tool includes a report generator as well as an intuitive, graphical user interface. Radisys will continue to support the tool over the coming three years with additional functionality, expanded test case coverage and other code improvements. Learn more about, OnGo and the OnGo Certification Program online, and follow the CBRS Alliance on Twitter and LinkedIn. OnGo™ is uncompromised connectivity. An innovative approach to maximizing mobile broadband, OnGo is a technology that puts the power of wireless networks into the hands of those that rely on them to empower and expand business opportunities. OnGo presents nearly limitless options for enhanced customizability and allows users to tailor networks to a specific set of needs, such as Private LTE, neutral host and Industrial IoT applications. OnGo Certified is a recognized seal of approval that indicates a product’s ability to meet a high set of quality, interoperability and security standards when tested by an independent, OnGo Certification Authorized Test Laboratory. Both the OnGo brand and the OnGo Certification Program are managed and maintained by the CBRS Alliance. Learn more about the expanded business opportunities OnGo is enabling on Twitter and LinkedIn. The CBRS Alliance believes that LTE-based solutions in the 3.5 GHz band, utilizing shared spectrum, can enable both in-building and outdoor coverage and capacity expansion at massive scale. In order to maximize the full potential of spectrum sharing, the CBRS Alliance enables a robust ecosystem through the management of the OnGo brand, and the OnGo Certification Program. For more information, please visit www.cbrsalliance.org and learn more about the expanded business opportunities OnGo is enabling.